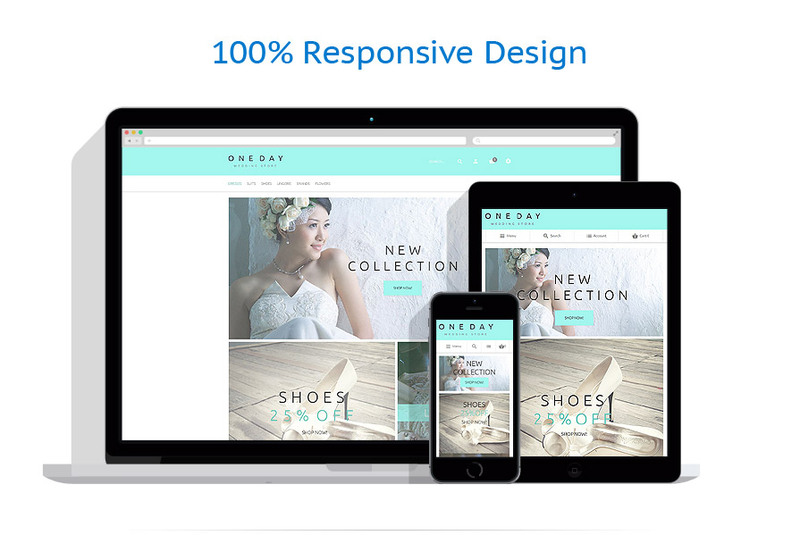 A link to download the theme will be sent to your email address immediately after the purchase. 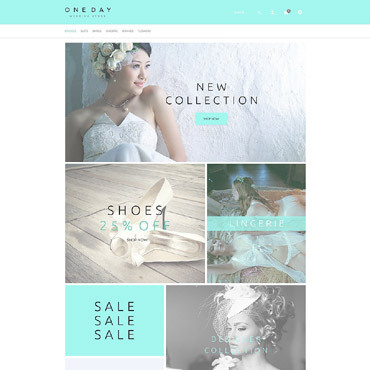 The theme is best suited for wedding, fashion and beauty stores. 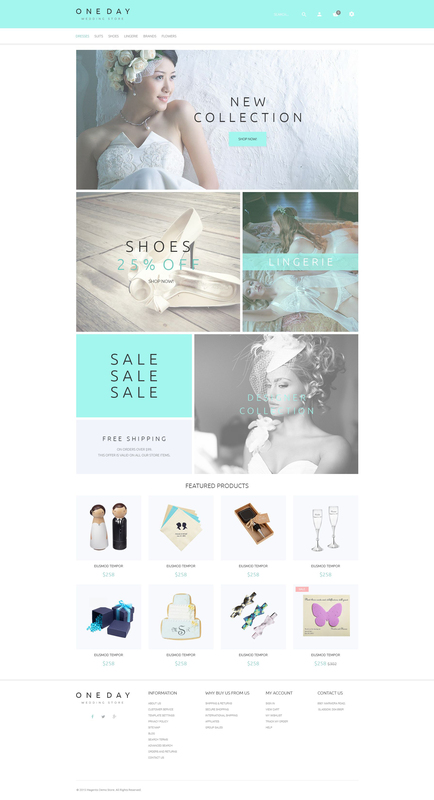 This template has been designed for wedding stores. 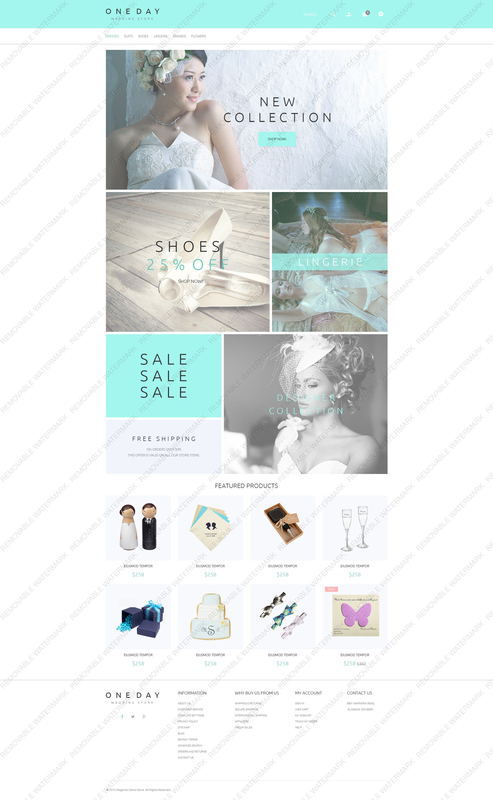 The author uses soft colors and nice images, which impart a kind of innocence to the Wedding Dresses Magento Themedesign. Slider shows gorgeous brides in wedding gowns from the latest fashion shows. Big banners advertize the latest wedding dresses collections. Featured products are supplied with the hover effect. This considerably saves the space on the page as call-to-action buttons and star rating appear on mouse over only. Social media icons and additional menu are at the expected place, at the bottom of the page. If you have forgotten your password, you can reset it here. When you fill in your registered email address you will be sent instructions on how to reset your password.